Finance is undergoing a fundamental and technological shift. In the years ahead, there will inevitably be new financial characters and new financial cliffhangers. 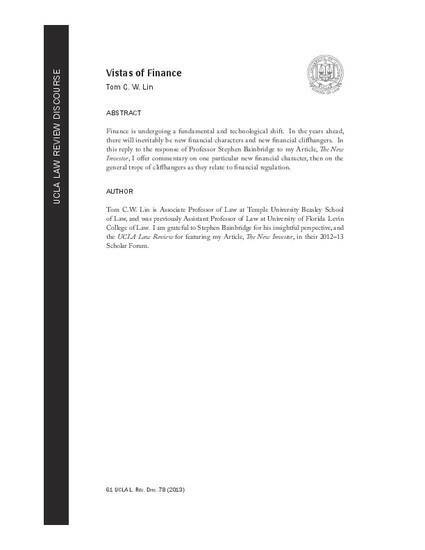 In this reply to the response of Professor Stephen Bainbridge to my article, 'The New Investor', I offer commentary on one particular new financial character, then on the general trope of cliffhangers as they relate to financial regulation.